If you’ve discovered our standard Atlantic Pool, then we’d like to introduce you to our Atlantic Deep End pool model. 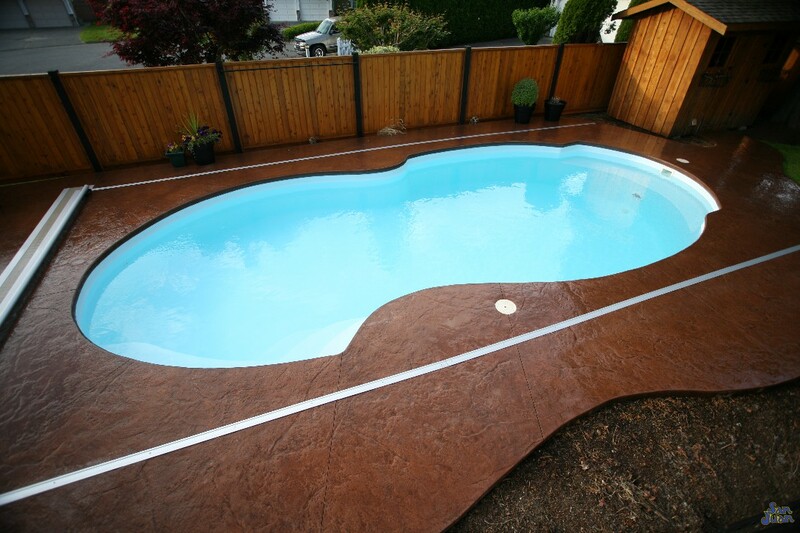 This fiberglass swimming pool is the exact replica of it’s predecessor but it sports a remarkable 8′ deep end. With such a creative design, what more could you ask for? Looking over it’s specifications, the Atlantic Deep resembles a oval / figure-8 design. However, it’s varying angles defines it as a Free Form pool shape with multiple benches & shallow end entry steps. After coasting into it’s shallow end, you’ll be greeted by the Atlantic Deep’s elegant 33′ 1″ length. This swimming pool is a great option for lap swimming and entertaining large parties of people. We recommend this swimming pool for those who are looking for an interesting and modern design. Let it be the perfect compliment for your backyard! Along with lap swimming, the Atlantic Deep is designed for varying degrees of deep end underwater diving. Toss in some rings or toys and practice those underwater swimming skills. You’ll be amazed at your ability to expand your entertainment options. 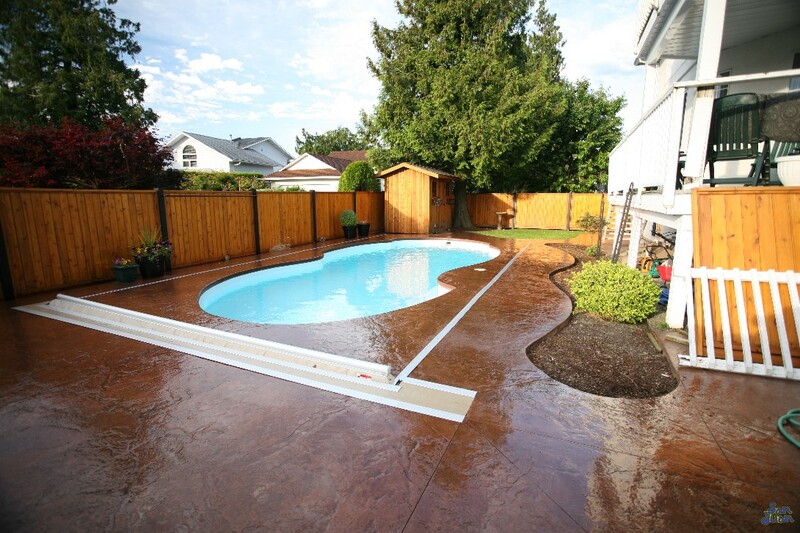 By selecting a deep end swimming pool, you’ll take yourself back to the good ol’ days of summer long gone. Cry out “cannonball” and make as big of splash as you want! For additional entertainment options, we recommend installing a ANSI approved diving board or water slide. The Atlantic Deep provides the perfect landing space for both young and experienced (that’s a nice word for parent) swimmers alike! Like all of our swimming pools, we work diligently to provide the very best in seating arrangements. The Atlantic Deep offers both shallow end entry steps and a convenient deep end bench. This provides two great seating areas for multiple swimmers. Both locations are extremely convenient for whatever swimming session you’re inspired to join in on! 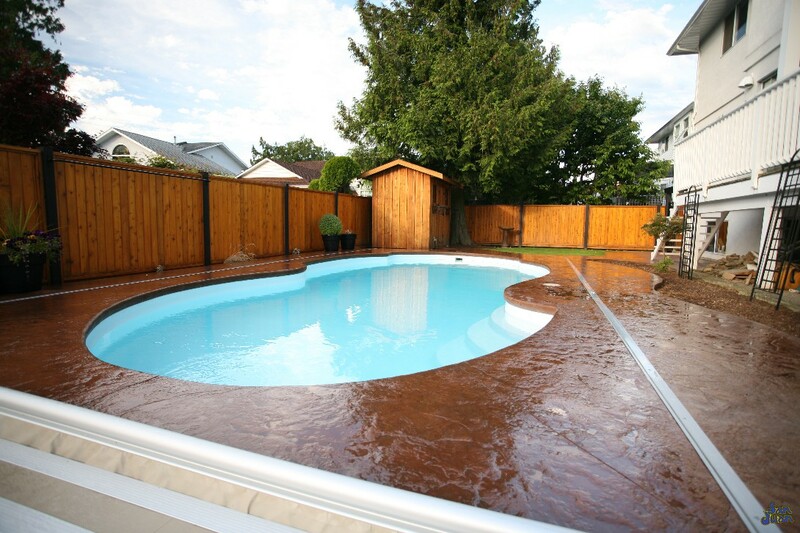 Diving deeper into this unique pool model, the Atlantic Deep is a great design that provides ample space in the shallow end. With a wide, and flat shallow end, your swimmers will have a comfortable space to mingle and relax. This is a great space for the “adult swim” session (after 10:00pm) and you’ll appreciate the calm waters of the Atlantic Deep. In summary, the Atlantic Deep is an excellent pool model for families that want to enjoy all aspects of pool ownership. You’ll enjoy deep end swimming, shallow end relaxing and comfortable bench seating. It’s free form design is both modern and unique.